**NOTE** Please read the readme file that comes with each zip file carefully! If you would like to know more about hacking AoE, please contact me. I can provide you with tools and a little knowlwdge... although I don't know too much about modifying AoE. **NOTE** Only one campaign can be installed at a time on each install of AoE. This provides a new, complete, and I hope seamless, patch for Aces Over Europe, of the air campaign of September 1, 1939 through September 5, 1939, the invasion of Poland. It provides completely new aircraft, new squadrons and new pilots, with more realistic flight models, damage characteristics and weapon loads, a new campaign, a new historical mission, and two new air forces, the Lotnictwo Wojskowe (Polish Air Force) and the Luftwaffe. It is a historical rather than hypothetical addition, which enables you to fly in and against a lot of new machines that were actually available in 1939. This provides a new, complete, and I hope seamless, patch for Aces Over Europe, of the air campaigns of 1940, the Battle of France and the Battle of Britain. It provides completely new aircraft, including 3 biplanes, new squadrons and new pilots, with more realistic flight models, damage characteristics and weapon loads, new campaigns, new historical missions, and three new air forces, the French Armee de l'Air, the Dutch Luchtvaartafdeling and the Belgian Aeronautique Militaire, plus Italian Regia Aeronautica squadrons as well. It is a historical rather than hypothetical addition, which enables you to fly in and against a lot of new machines that were actually available in 1940. This provides a new, complete, and I hope seamless, era patch for Aces over Europe, of the air campaigns of 1941. 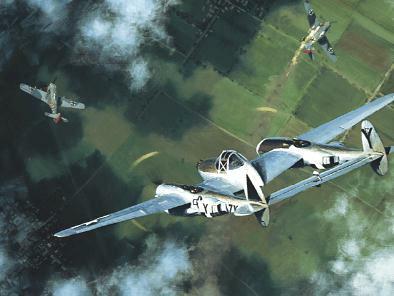 It provides the aircraft available to the protagonists in Western Europe and on the Eastern Front, in 1941. The period covered is from the invasion of Russia on June 22, 1941 until the Russian counter-offensive of December 1941. Three air forces are included, the Luftwaffe, RAF, and Russian Air Force (the Voenno-Vozdushnie Sili, or VVS). It provides new aircraft, including classic mid-war aircraft like the Spitfire Vb, Hurricane II, Whirlwind, Bf-109E and F, He- 112B, Bf-110F, the Italian Macchi Mc-200 and Mc-202 , and classic early Russian machines like the Polikarpov I-16, MiG-3 and Yak-1. There are new squadrons and new pilots, with more realistic flight models, damage characteristics and weapon loads, new campaigns, new historical missions, and ships including British aircraft carriers and German surface raiders. This provides a new, complete, and I hope seamless, era patch for Aces over Europe, of the air campaigns of 1942. It provides the aircraft available to the protagonists in Western Europe in the mid-war period, in 4 separate air forces, including the Royal Navy's Fleet Air Arm. It simulates a period when the Luftwaffe stood on the defensive, but had not yet been overwhelmed. It provides completely new aircraft, including classic mid- war aircraft like the Spitfire Vb, Whirlwind, Typhoon, Bf- 110G, Me-210A, P38E and P39, new squadrons and new pilots, with more realistic flight models, damage characteristics and weapon loads, new camapigns, new historical missions, and new ships including British aircraft carriers and German surface raiders. This Eastern Front 1943 campaign is designed to shift the action of the European air war from the Western to the Eastern Front. The time frame to be covered by the full release will cover the period from roughly mid-1943 (Kursk) to the end of the War (9 May, 1945, for the Soviets). There will be five German campaigns and six Soviet, coving the front from Leningrad to the Caucuses. There will be approximately 50 squadrons in which to fly, and fully 21 aircraft, most of them new. This fictional campaign features the aircraft of the US Army, Navy and USMC pitted against the Luftwaffe's best. This provides a new, complete, and I hope seamless, patch for Aces over Europe. It provides completely new aircraft, new squadrons and new pilots, with more realistic flight models, damage characteristics and weapon loads. It is a "what-if" or "might-have-been" addition, like "Aces of the Pacific 1946" that enables you to fly in and against a lot of new machines that were or could have been available if the war had continued. This is a little AoE patch I put together. It's not a campaign, but it has a good variety of planes with all the correct text and mostly historical squads. This pack consists of all of the individual user-made planes I could find for AoE. Please note that some of the planes in the campaigns are not in this pack and some of the planes in this pack are not in the campaigns. The planes included in this pack are as follows: B-25s, Bf-109s, Bf-110s, Bloch 152, CR.32, CR.42, D-520, F5u, Fairey Fox, Fokker D.XXI, Fokker G.1, Fw-190s, G.55, G.56, Gauntlet, Gladiator, Hurricanes, I-16s, Ju-87s, Ju-88s, Las, Laggs, MC.200, MC.202, MC.205V, Me-262s, Meteors, Migs, Mosquitos, MS-406, P-38s, P-39Qs, P-47s, P-51s, Potez-631, Spitfires, and Yaks. With some planes, there are many variants (Sub-types) to choose from, hence the 's' at the end of some names. This allows you to fly all of the two-engine and four-engine bombers in AoE. This changes and adds a few things to the terrain of AoE.